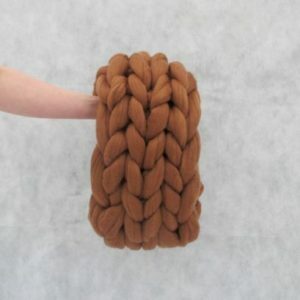 12 months of access to ALL my past paid video tutorials AND a new one coming out every month (for 12 months) PLUS LIVE arm knitting support and classes to answer your questions. You’ll knit up these blankets like a pro in no time at all. Take your arm knits to a new level in my private arm knitting group on facebook (Called “Giant Knitting Tutorials Paid Membership”). You’re buying a one year membership with this listing. If you’d like to pay on a monthly basis ($17 each month) please purchase this other listing. 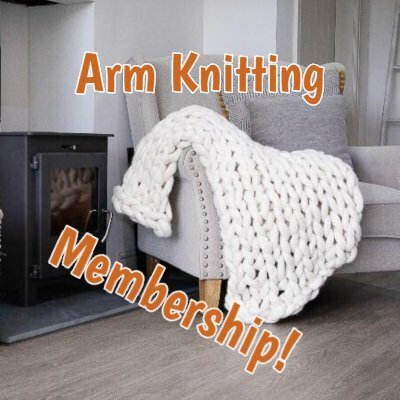 You’ll need to choose the $17 a month Arm Knitting Membership Tier. Some of those blankets can be seen in this below, but this is only a few of the many tutorials you’ll get since a new one is added each month. 10) How to make perfect size stitches every time without a tape measure OR having stitches on your arms. 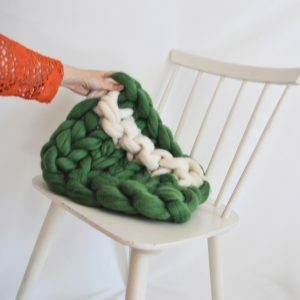 11) How to calculate exactly how much yarn (or wool roving) you’ll need for different sized blankets. 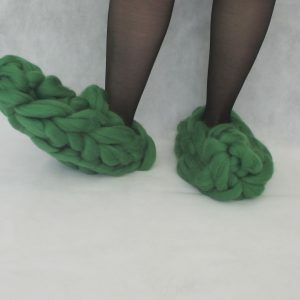 BONUS 1 – A tutorial on how to felt up your wool roving in the washing machine or dryer (if you happen to be using wool roving this will save you a TON of time compared to the old hand felting technique). BONUS 2 – A one time 20% discount off world of wool’s full price on any bulk order of 10 kgs (22 lbs) of yarn or wool (you’re welcome to mix and match as long as each item your buying equals 1 kg (2.2 lbs) or more to make up the minimum weight of 10 kgs (22 lbs). BONUS 3 – Access to a new LIVE video once a month of the arm knitting members questions being answered. 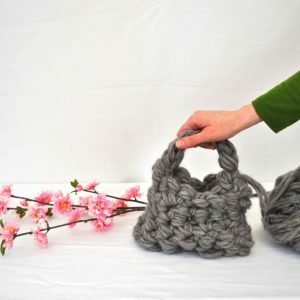 What can you do in the Private Arm Knitting Membership Group? Watch and take part in LIVE sessions. The group is run from a private facebook group where all the tutorials have been uploaded, and new ones continue to be uploaded once a month. This is also where the LIVE video’s happen. 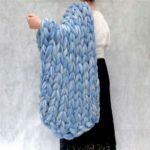 When you buy this listing you’ll need to leave a note for me what your facebook account email address is OR simply find the group “Giant Arm Knitting Tutorials Paid Membership” on facebook and ask to join. It will ask you if you’ve purchased the membership, and also what tutorials you’d like to see in the future. If your name is different than your purchase name from Etsy please leave a note about that so I can be sure to add you. If you have any questions please ask through our contact form on the homepage. After you purchase the membership I’ll be in contact with you within 24 hours and manually add you to the facebook membership group.